Measures 13" x 9.5" x 6.5". 800-cu. in. carrying capacity. 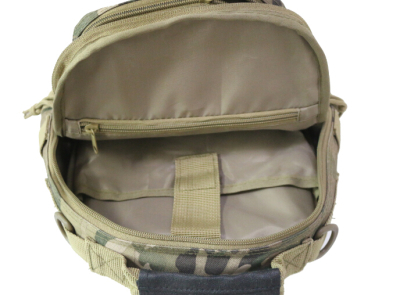 Get this military-style shoulder sling bag for a host of messenger-type operations on the go. 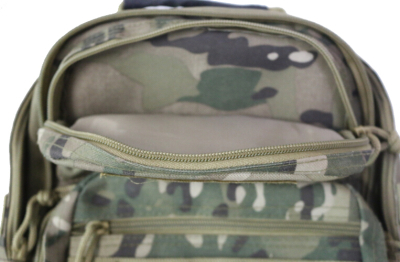 The sling bag can be easily moved from rear to front to retrieve an item without having to remove the bag. 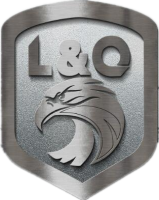 Ambidextrous for right or left side carry. 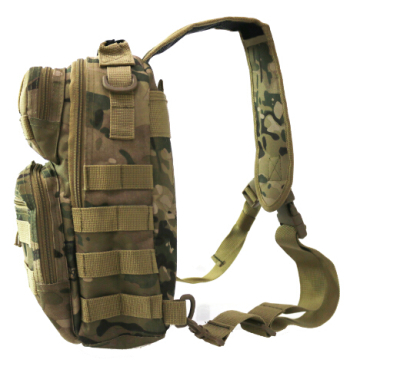 Padded adjustable shoulder sling for even the largest of users. 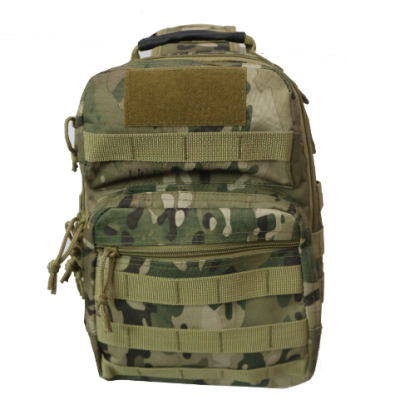 It is made of heavy-duty rugged 600D polyester with molle system strips, rust proof zippers, a padded back, padded. 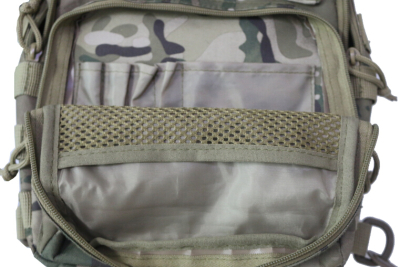 Includes multiple interior pockets, mesh pocket and organizer pocket, a double stitch drag handle, multiple D-rings. 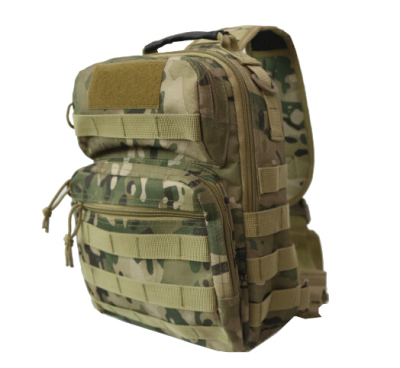 Molle system straps include 2 on the back compartment, 1 on each side and 3 on the main strap. 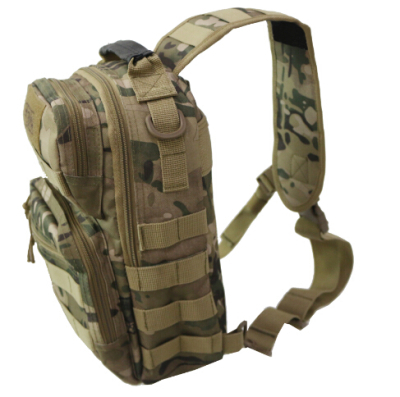 Hydration bladder compatible (bladder not included) with a pouch between the main compartment and the sling.